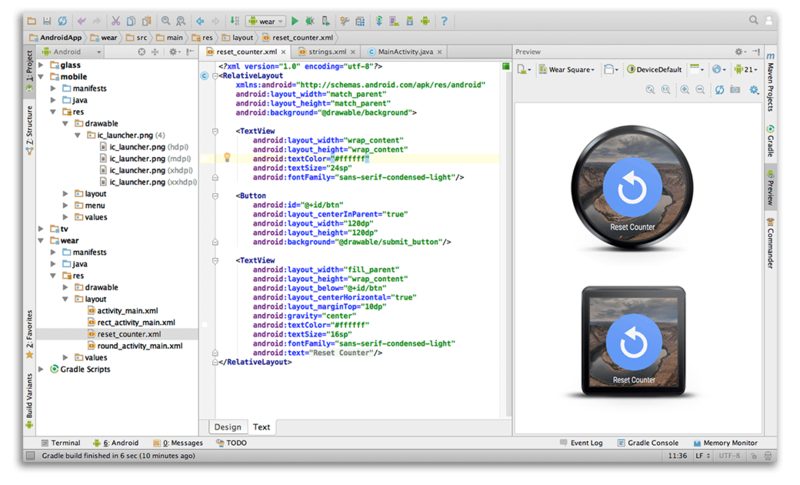 Google has made the switch from Eclipse to Android Studio official. If you have been using Eclipse with ADT, be aware that Android Studio is now the official IDE for Android, so you should migrate to Android Studio to receive all the latest IDE updates. For help moving projects, see Migrating to Android Studio. Android Studio has come a long way since it originated several years ago, and is built around the gradle build cycle. The Android 4.4.3 update for the Nexus 10 has been going out over the air recently. One hoped for fix that I had been looking for on my end would have been to improve the Bluetooth Keyboard compatibility, up to and including the Apple Wireless Bluetooth Keyboard. Unfortunately that still seems to be not working from my experimentation. Please feel free to add in the comments your experience with 4.4.3 on the Nexus 10! Spaghetti, Ravioli, or Lasagna Code? Poor programmers create spaghetti code. Average/Good/Agile programmers create “ravioli” code… Thousands of little objects. Architects (especially ones that plan more over longer time frames) create the ideal: Lasagna code, which is a layered architecture. A few people had wanted me to blog about it so they could link to it. I just wanted to expand on the ravioli aspect because different people have different feelings about what ravioli code is. To some people — ravioli code — is encapsulated spaghetti. Eg, it’s spaghetti on the inside but it looks like an object on the outside. I would call this “spaghetti stuffed ravioli”. Eg, from the outside, it’s hard to tell which Ravioli is stuffed with lobster, which one with cheese, etc. Further reading: http://en.wikipedia.org/wiki/Spaghetti_code goes into all the code models listed above not just spaghetti.